Why this is significant for me is that I’m steadily moving all my WordPress development work to Genesis. I still have iThemes Builder and WooThemes Canvas in my arsenal with a significant number of client sites running both and I will probably use them again. But the recent release of Genesis 2.0 has made me re examine this framework I’ve been circling around for quite a while. 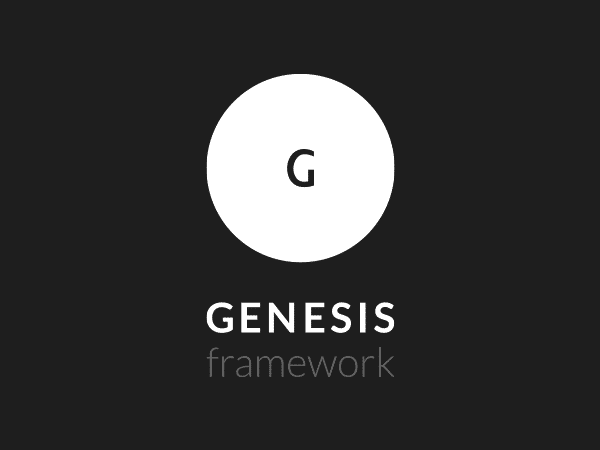 I decided to look at it with fresh eyes and my former reservations about a hooks-based framework like Genesis melted away as I was awed by the elegance of the framework, both in the back and the front end. My knowledge of how to work with such frameworks and building child themes has also grown quite a bit using Builder then Canvas and other Woo themes and my former complaints no longer had much weight. After working on 5 or 6 sites with Genesis, 2 of which are now live (this one with Dynamik and one started from the base Genesis Sample child theme), I now can see that the limitations in flexibility I perceived and expressed before were just that… perceived. Genesis is a very powerful WordPress theme framework that is as flexible if not more so than any other I’ve worked with. The addition of CobaltApps’ Dynamik Web Site Builder child theme enables me to style a site quickly and gives me a lot better and more granular control of responsive behavior than either Builder or Canvas ever did. One of the main reasons I really got excited about the Genesis framework was the quality of the front-end HTML and CSS code. Compared to the heaviness of the Builder markup, Genesis feels much lighter. I also found it way easier to style with better organized CSS (that’s starting from the base Sample child theme). The addition of HTML5 and Schema.org markup in Genesis 2.0 also played a big role. Canvas which powered version 4.0 of this site was already on HTML5 but too often, I felt I had to fight the built-in CSS to get what I wanted. It was actually worse than Builder in that respect. I will discuss all these things in more details in upcoming reviews. Regarding the visual aspects of this redesign, the changes are relatively minor. It’s the same color scheme as before and the same logo. But the design is now flat and no longer completely “boxed in”. The header and footer are full width and I did away with all drop shadows and rounded corners and tried to simplify things further. But the core of this redesign is not the visuals, it’s the technology behind it. Now that pixelyzed.com 5.0 is out, I will concentrate on writing these long promised theme framework reviews. I will also keep tweaking things in the coming weeks. Eventually, a real visual redesign will happen and I have a few ideas in the back of my head. If you see anything that looks out of place or any real glitches on the site, please don’t hesitate to contact me. Thank you and I hope you like the new version! Thanks for the article. I was looking at this same framework and child theme for my next site as I’ve worked with Woo Canvas and some others but they seem heavy in terms of code and also seem to have to do a lot to override the base styles to create a custom looking site. Indeed, this is the issue I’ve been having as well. Canvas’ styles are often way too specific and not just in style.css, but also in other harder to override style sheets like layout.css. Many of their plugins have the same problem including WooCommerce which is otherwise amazing. It’s way overstyled out of the box and they have way too specific selectors but at least you can dequeue WooCommerce styles and enqueue your own copy. No such problems with Genesis and Dynamik though. Basic Genesis is very easy to style and the sample child theme’s styles are the same. Dynamik is also very easy to style with custom CSS beyond the visual options. I’m sure you’ll have a way easier time with that setup. Version 1.5 of Dynamik will be released tomorrow and it adds a lot of major improvements. Check it out!